Post length ~ 10mm / 3/8". 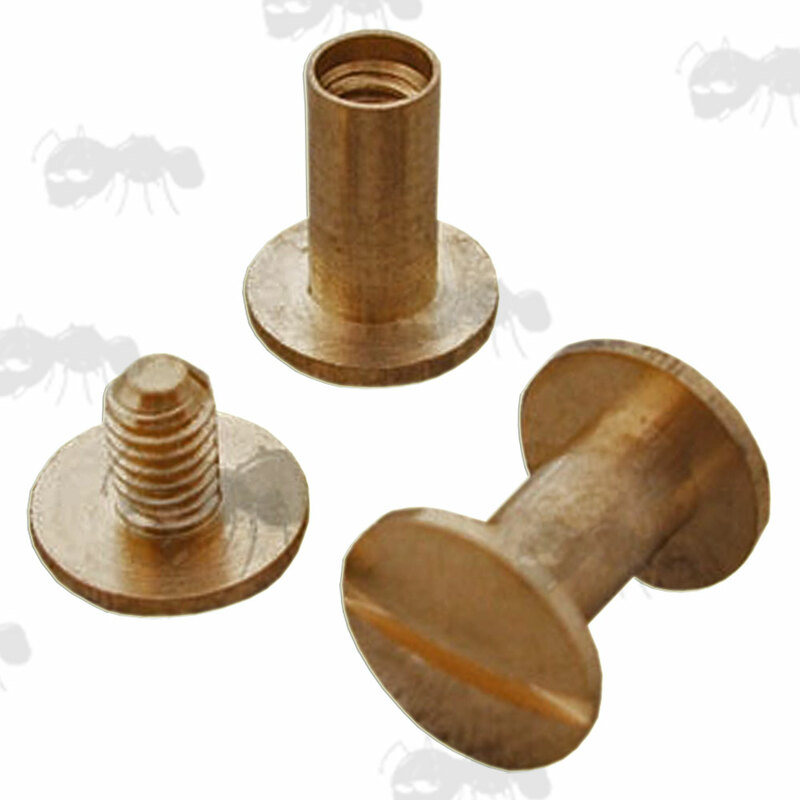 Screw end length ~ 10mm / 3/8". Overall length ~ 12mm / ½". Pair of ½ inch chicargo studs. 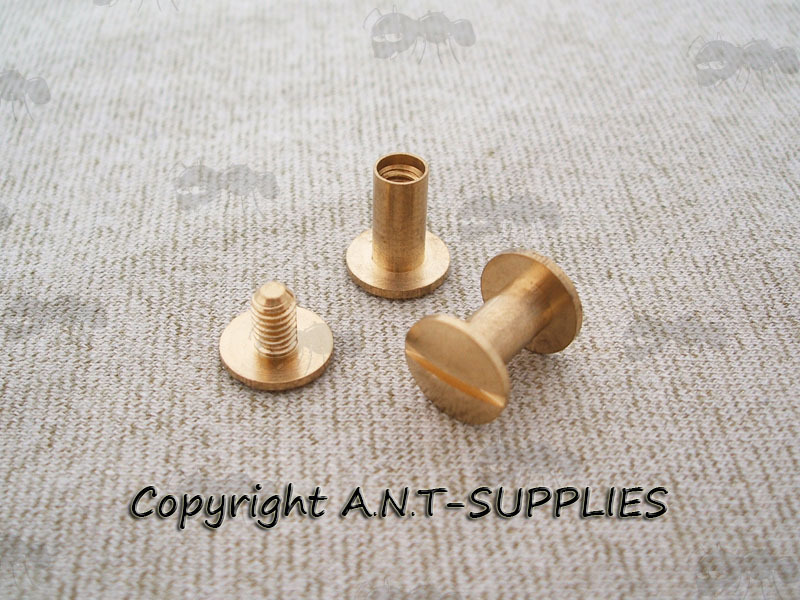 Traditional studs for leather slings, straps and cases etc. Two = 2 male and 2 female pieces (as in photos). Six = 6 male and 6 female pieces. Ten = 10 male and 10 female pieces. Also available ~ Black finish chicago studs.